Dave is a full-time Real Estate Agent with significant background and expertise in all facets of real estate; single-family, multi-family, investment property, commercial and rural/agricultural. 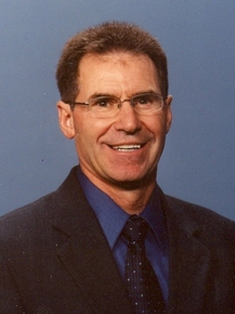 He became a licensed Realtor in 1982 and served the needs of the Dickinson and Southwest North Dakota areas for almost 20 years. He is married (wife, Jane) and has three grown children (Junelle, Ryan, Sara) as well as three grandchildren. After raising a family in Dickinson, Dave and Jane moved to Bismarck six years ago. Dave has been a multi-million dollar producer each year since his arrival in Bismarck in 2001. His ultimate goal in every transaction is to find for you a property that is compatible with your dreams, needs, lifestyle and financial circumstances. Dave truly enjoys and is committed to his profession and he has an extensive network of contacts to help assure that the buying and/or selling processes are as pleasant and stress-free for you as possible. Dave (along with his son Ryan) also own and manage multiple rental properties in the Bismarck/Mandan area. In addition, he has experience as a general contractor and builder. All of these assets combine to make Dave a solid choice to assist you with all of your real estate needs.